You are here: Home / Reviews / The Most Honest Lean Belly Breakthrough Review You Will Ever See: Scam or Worth it? The Most Honest Lean Belly Breakthrough Review You Will Ever See: Scam or Worth it? Unlike other Lean Belly Breakthrough reviews, we’ll give you an in-depth, honest look at how this program works, what it has to offer, and whether it’s effective or just another weight loss scam. If you’re not familiar with this weight loss program, the Lean Belly Breakthrough was designed by Bruce Krahn a man who worked closely with a doctor after his family member had a heart attack mid-flight. The methods the doctor used inspired Krahn to create this program in the hopes of educating people on how to safely and quickly lose weight. There was plenty of mixed feedback online from people who have purchased and tried the program. Some claimed that it worked and helped them to lose weight in a matter of days, while others offered a more realistic review of the product claiming it did absolutely nothing to help them lose weight other than encouraging them to work out and make healthier food choices. Whether or not this program is actually effective remains to be seen. So, let’s delve a little deeper and break this program down. The Author’s Experience: Who is Bruce Krahn? Bruce Krahn didn’t just decide one day to take a more active hand in the fitness world once his father in law suffered a heart attack. In fact, he’s actually an established fitness trainer who has more than fifteen years of experience working as a fitness consultant. 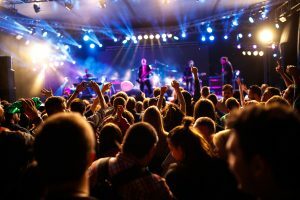 He’s also worked with many famous celebrities including Criss Angel, Nelly Furtado, and Tom Cochrane. He’s a self-proclaimed fitness expert when it comes to shedding unwanted belly fat and toning up. This program is designed for people over the age of fifty. The program was created around a formula provided by Dr. Henrick, the physician responsible for saving the life of the author’s family member. This program is designed to get rid of belly fat fast and cure any serious associated health issues including heart disease, diabetes, chronic fatigue, and depression. The main focus of the program is to help people rapidly lose belly fat in a matter of days. According to Krahn, he claims his father-in-law lost a total of nine pounds of just belly fat in a few days. But is this physically possible? The answer is not likely. There is no conceivable way to target weight loss. Meaning, if you want to lose weight in your thighs, you can’t do so by doing lunges. It’s just not how it works. Even on the strictest diet, spot weight loss isn’t possible. Instead, when you follow a strict diet and exercise program, you end up losing small amounts of weight all over the body. It can certainly help to minimize belly fat if you avoid fatty foods such as full-fat cheese, but even then, a nine-pound weight loss from your abdomen isn’t possible. Additionally, a nine-pound weight loss that’s primarily fat that occurs in a period of three days isn’t likely either. The body doesn’t easily lose that volume of fat that quickly. If Krahn’s father-in-law did lose nine pounds in three days, it was probably partially water weight. It’s pretty common for many fad diets or lose weight fast programs to rely on water weight loss for fast results. A diet that’s low in carbs is just one example of a diet that encourages water weight loss. When someone eats too few carbs their glycogen stores become depleted. This results in a loss of water weight, translating to a quick change in the scale. The average person’s weight can fluctuate from five to ten pounds based on water retention. Checkout Lean Belly Breakthrough Here! Typically, when a person loses more than two to three pounds a week they are losing lean muscle mass or water weight, as opposed to actual fat. This type of extreme dieting can have several side effects such as a reduction in energy, and the inability to concentrate. But once the dieter returns to their normal eating habits, they’ll quickly notice that they gain the weight back. Some may even gain more back. Losing actual fat will take plenty of time and effort on the dieter’s part. It basically boils down to consuming fewer calories than they burn off. A normal weight loss goal is one or two pounds a week. This type of slow weight loss can ensure you don’t gain the weight back quickly and prevents skin stretching, dehydration, and irritability. It’s also a more realistic weight loss goal, which will keep the dieter motivated to continue working at it. Target fat loss, like attempting to specifically lose belly weight, is also referred to as spot reduction. Most people who work out attempt to lose weight in certain areas of the body such as the abdomen or thighs, but as we mentioned, this simply isn’t possible. Target fat loss workouts and their effectiveness has been debated in the fitness world for years. But thanks to many studies that have been conducted regarding the possibility of spot fat reduction, science has not been able to provide any evidence that this method will work. In order to understand why it’s not possible to lose nine pounds in under a week, it’s important to learn how the body burns fat. Fat is stored in the cells in the form of triglycerides. Triglycerides are stored fat that’s used for energy. But before they can be used for energy they must first be broken down into smaller particles called glycerol and free fatty acids, which can enter the bloodstream. 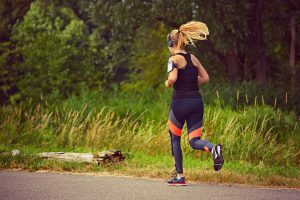 When someone exercises, the glycerol and free fatty acids that are used as fuel will come from everywhere in the body, not just a specific area. Even if you’re doing an intense ab workout, the fat will still come from all over the body, not just your belly. 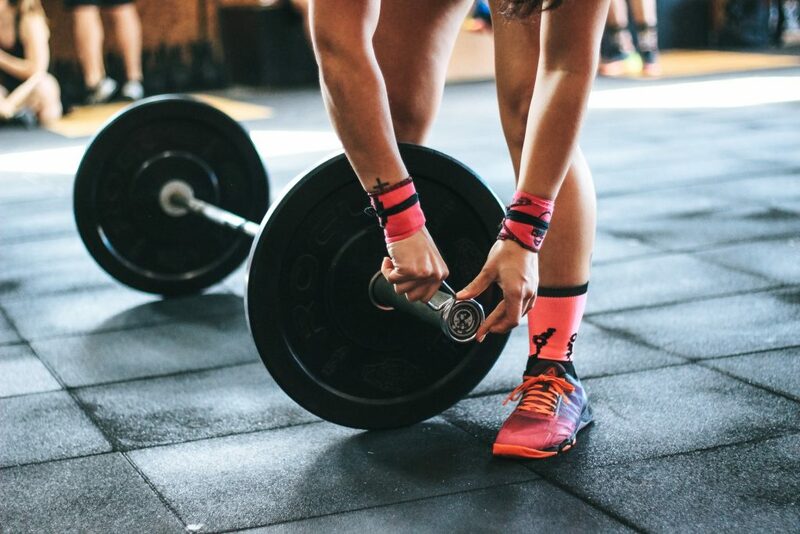 While spot fat reduction is ineffective, toning specific areas is possible, which is why you’ll hear people talk about leg day or chest day workouts at the gym. When you work out a certain muscle group, you’re doing so in order to grow that particular muscle group. So, on leg day, you’ll focus on the calves, thighs, and glutes, and tone and grow those muscles, but this is not the same as target fat loss. As a result of this workout, you won’t specifically lose fat in those areas. Basically, you can’t choose which area of the body you’ll lose fat, but you can choose where you want to look more defined and toned. The main focus of the program’s weight loss approach is to lose belly fat. The formula itself involves a two-minute ritual that was created by the doctor and used on Krahn’s father in law after his heart attack. 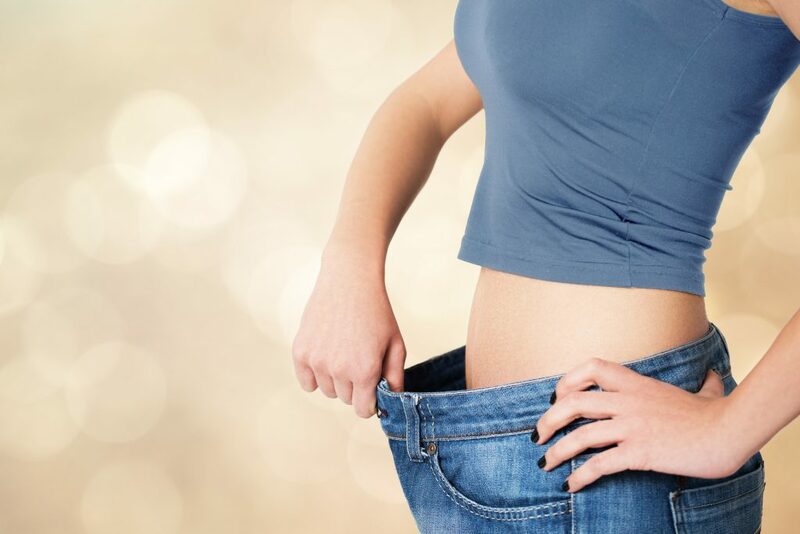 According to the author, this two-minute ritual is what helped with the significant weight loss in just a matter of days, resulting in a total weight loss of thirty pounds in just one month. But as we have already discussed, this isn’t possible, and the results are most likely exaggerated. Informational overview of foods, spices, and herbs that can affect the hormones that are responsible for storing fat. A sixty-minute belly shred workout program complete with a video. This should be done for a period of two weeks. Blueprint on what a person has to do to solve the underlying cause of belly fat. 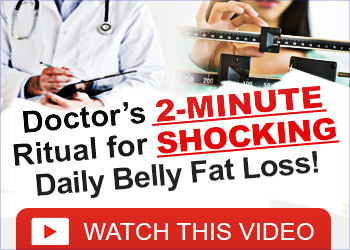 The author claims that this program features scientifically proven methods that can help people to lose one to two pounds of belly fat a day, just by following the two-minute ritual. The author goes on to discuss how the program can also work to reverse the symptoms of heart disease, diabetes, and reverse the signs of aging by improving the elasticity and texture of skin, restore youthful energy, improve joint health, and boost the libido. He claims that by closely following the program, you can feel decades younger. Instead of following tough workout programs or taking prescription medications, he feels that the Lean Belly Breakthrough can provide better results, with only two minutes of work a day. He states that this program has helped over one hundred thousand people of all ages beat diabetes, heart disease, and stubborn belly fat. But anyone, whether they’re out of shape or a fitness enthusiast knows that it takes more than two minutes of working out a day to see results. Unfortunately, Krahn doesn’t disclose what this two-minute ritual is, you have to buy the program to find out. While we can totally understand why he wouldn’t want to advertise what his weight loss secret is, it makes it impossible for the prospective buyer to determine whether the program will work or if it’s even legitimate or not. Basically, Bruce expects you to take him at his word and hope for the best. Bruce records a very lengthy video that runs for over thirty minutes. In it, he explains what this program can do, but he never actually says how it works, so you’ll still be left in the dark until you buy it. However, he does reveal that during the program, you’ll incorporate simple herbs, spices, and foods, combined with five specific natural body movements that must be performed in a very specific manner. Using the approved movements and foods, the author guarantees that you’ll lose a minimum of ten percent of your body fat in two weeks or less. Considering most people have an average of twenty to thirty percent body fat, this claim seems a little farfetched. Is this Weight Loss Program Healthy? First off, most doctors will tell you that it’s not healthy to lose more than one to two pounds of weight a week. Anything over two pounds is considered potentially dangerous, especially if you suffer from an underlying health condition such as diabetes. 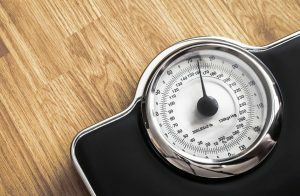 Losing more than the recommended amount of weight per week is not only unsafe, it’s not sustainable. While a crash diet can help you lose weight quickly, you’ll quickly gain it back. On average, studies have reported that after a crash diet a person often regains five to ten pounds more in addition to the amount of weight they lost before the diet. Since the program is available online, you can instantly download the eBook immediately after purchase and get started on your weight loss journey right away. 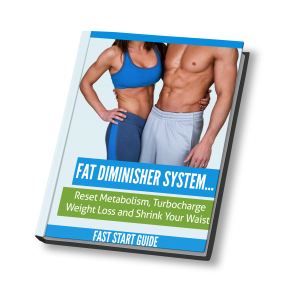 The first free bonus in the package is called the Emergency Fat Loss Guide. This guide includes information on how hormones can be responsible for weight gain. It explains which hormones can help aid in the fat burning process and which ones are responsible for weight gain. The guide includes tips and tricks that can help you reach your weight loss goals quickly. The next bonus is called the Minute Belly Fat Shrinking Ritual Tracking sheet. The tracking sheet is designed to help you monitor and track your activity level and remind you to perform the two-minute ritual. The Recipes and Metabolism Boosting meal plan guide features a list of fat-busting meals, teas, and smoothies. All of these food options can be used to cleanse your body for faster weight loss. You’ll also get some simple, great tasting dinner and lunch recipes in this guide. Libido Boosting foods features a list of foods that can boost your libido by increasing the amount of nitric oxide in the body. The Abs Friendly Desserts guide is designed for people who wanted shredded abs and want to still enjoy some of their favorite treats. In the fitness world, you’ll run into all types of diets, ranging from juice cleanses, to high fat and low carb diets, high carb and low fat, fat-free, tea detoxes, and intense crash diets that only allow you to eat every other day. With any diet program, the goal shouldn’t be to help the user lose as much weight as possible in just a matter of days, instead, it should focus on teaching people how to make healthy food choices, how to balance a meal and include the right portions of each food group, and how to eat a well-balanced diet. The diet in the Lean Belly Breakthrough both claims it can help you lose weight rapidly, while also educating readers on healthy meal options. Krahn recommends eating three times a day. One of the meals he pushes is his Super Smoothie for breakfast and then lunch and dinner using the included meal recipes. The program comes with a total of seven smoothie recipes, eight meals for lunch, and seven dinner options. You can also choose from his eight healthy dessert recipes, once daily, typically after the evening meal. He doesn’t recommend eating these low-calorie desserts daily, however a few times a week is fine. 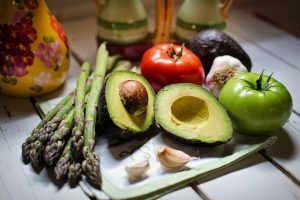 This low-carb diet doesn’t offer much in regard to variety, but it’s pretty simple to do a Google search and find other types of low carb meal ideas that will focus on the same restrictions that Krahn’s diet does. The limited amount of meals in the program don’t provide much structure for those in serious need of dietary guidance. If you’re struggling to get your daily required amount of vitamins, minerals, and protein that can prime your body for nutrient absorption, while promoting weight loss, then we recommend reading our Organifi review. Organifi is a company that produces a wide range of healthy products including protein powders that contain quinoa and pea proteins, and their popular Green Juice product that contains an impressive amount of vitamins and minerals designed to quickly steer you on the path to healthy living. Ultimately, these products are a better option than many of the recipes you’ll find in the Lean Belly Breakthrough program. What are the Advantages of the Lean Belly Breakthrough? As we mentioned earlier, the program was designed to help people fight stored belly fat and minimize their chances of diabetes and heart disease. The whole goal of the program is to use natural weight loss methods in order to return balance to the body, promote weight loss and boost the metabolism. The best part of the program is that it doesn’t require complicated diet changes or over the top workouts. Instead, it focuses on healing herbs and invigorating spices, simple foods, and a two-minute ritual designed to promote rapid weight loss. While the goal of the program is weight loss, the author also makes an attempt to keep the program simple and easy to follow. The program can be followed until you have achieved your weight loss goal and it can also be used for weight loss maintenance. For some, the biggest benefit the program offers is the ability to use this system in the comfort of their own home, without having to visit the gym, a clinic, or specialists. Because the program only requires you to follow a few simple steps in order to get ideal weight loss results, you don’t have to spend a lot of money on special food or equipment. The program also doesn’t require you to buy any extras in order for the system to work. Instead of selling supplements, or exercise equipment as add-ons, Krahn only requires you to make slight changes to your diet and use simple exercise techniques. 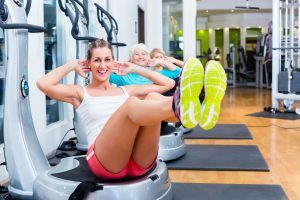 Not only does the author strive to make this program simple, but he emphasizes it’s a great choice for people of all ages and fitness levels. There are so many diets these days that are mainly focused on helping people in their twenties and thirties to get fit. While this program is more marketed toward people over the age of fifty, who are more at risk of certain health conditions, the low impact nature of the two-minute ritual makes it a good choice for users of any age. But is the program’s simplicity and lack of accountability one of the reasons many people are so skeptical regarding whether or not it works? Everyone knows that having the perfect body takes hard work that involves the combination of eating a strict diet that’s loaded with fruits, veggies, and lean protein, in addition to working out several times a week. Krahn feels that the biggest advantage of his program is that it’s able to help people lose visceral fat that’s been plaguing them for years. Because this fat accumulates in the abdominal cavity, it’s been associated with a number of health conditions. Bruce believes he has created a solution that can help people quickly and effectively get rid of this built up fat in a matter of days. Does Krahn really hold the key to visceral fat weight loss success in a matter of days? Why is it so important to lose belly fat? While it’s healthy to have some body fat, not all fat is created equal. If you’re carrying around a lot of visceral body fat, then you’re putting yourself at risk of heart disease, diabetes, stroke, and other types of serious conditions and complications. Also referred to as belly fat, visceral fat is a type of fat that is stored in the abdominal area. The fat is found near vital organs including the intestines, stomach, and liver. Studies have even found that it’s common for the fat to build up in the arteries. This type of fat is also known as active fat because it actively increases a person’s risk of serious health problems. If you have belly fat, that doesn’t mean it’s visceral fat. It can also be subcutaneous fat that’s stored under the skin. This type of fat is also found in the legs and arms and it’s much easier to see, while visceral fat isn’t easily seen, and it’s stored in the abdominal cavity. The only way you can have visceral fat measured is with an MRI or CT scan. However, both options are time-consuming and expensive. Instead, a physician will often use general guidelines in order to evaluate the amount of visceral fat you’re carrying around and the type of health risks it poses for you. Studies have shown that approximately ten percent of body fat is actually visceral fat. Once you’ve calculated your body fat, you can easily estimate your body’s total amount of visceral fat. Another way to calculate your visceral fat content is by measuring your waist. Woman with a waist that measures thirty-five inches, or more are at risk of health issues caused by a high visceral fat content. Men are at a higher risk of complications when their waist measures forty inches or more. The fat is usually evaluated on a scale of one to fifty-nine via an MRI or diagnosed with body fat analyzers. A healthy level of visceral fat is under thirteen percent. If you have a rating of thirteen to fifty-nine, lifestyle changes are needed. What are the Complications Associated with Visceral Fat? This type of fat can cause severe health issues almost immediately. It often increases a person’s insulin resistance, even if a person has never had prediabetes or diabetes. Studies have found that this is caused by retinol binding protein, which increases insulin resistance. This binding protein is secreted by visceral fat. The fat can also quickly increase blood pressure. More importantly, carrying around a large amount of fat can increase your risk of developing life-threatening, serious long-term medical conditions including heart disease, stroke, breast cancer, type two diabetes, heart attacks, Alzheimer’s disease, and colorectal cancer. Fortunately, getting rid of visceral fat isn’t that complicated. In fact, research has proven that it’s very responsive to lifestyle and dietary changes. With every pound you lose, you lose a small percentage of visceral fat. Doctors recommend exercising a minimum of thirty minutes a day, five days a week and including both strength training and cardio exercise. Does this sound like what Krahn is recommending? Krahn believes that the loss of visceral fat is possible by working out two minutes a day, which is less than fifteen minutes a week. Cortisol is a type of stress hormone that can increase how much visceral fat the body stores, so reducing stress can make it easier to lose weight. Deep breathing, walks after mealtime, meditation, and even prenatal yoga, can help you lose stubborn belly fat. It’s also very important that you follow a well-balanced, healthy diet. The diet plan included in this program is easy to follow and reasonable, but you may need to tweak it in order to reach your weight loss goals. The diet does eliminate high-fat, and high sugar foods, and includes an extensive list of vegetables for weight loss, lean proteins, and complex carbs including lentils, beans, and sweet potatoes. Preparing food using low-fat methods such as baking, boiling, and broiling as opposed to frying can also help to cut out fat and lower your daily caloric intake. There’s no doubt that Krahn has good intentions when it comes to creating a weight loss program he believes in, but is it realistic? Can people really expect to lose a significant amount of weight just by working out two minutes a day? Probably not. Additionally, if you’re carrying around a lot of visceral fat it’s important to first consult your physician regarding healthy meal alternatives and exercise programs. If you have an underlying health condition such as heart disease, you should definitely consult your physician before you make any important dietary decisions. If you’re a woman with a waistline that’s more than thirty-five inches or a man with a waist that’s more than forty inches, you should meet with your physician and discuss lifestyle changes and health risks. Your physician can check for health risks that are associated with visceral fat content and may refer you to a nutritionist who will create a stricter diet than what you’ll find in the Lean Belly Breakthrough. Because visceral fat isn’t visible many people don’t know it’s there, which is what makes it so dangerous. Fortunately, visceral fat is preventable. Maintaining a low-stress, active, healthy lifestyle is the best way to prevent visceral fat from building up in the abdominal cavity. Is the Secret Two-Minute Ritual Really a Secret? During the sales video, Bruce talks at length about the magical two-minute ritual Dr. Henrick used on his father in law to restore his health and promote rapid weight loss, claiming this is what saved his father in law’s life. He really hypes up the ritual, attempting to make his audience believe that if they had access to the ritual that they would also be able to lose an impressive amount of visceral fat in just a matter of days. But obviously, the big catch here is you have to buy his program in order to learn what this show-stopping ritual is. We weren’t able to find what the five movements involved in the two-minute ritual are. But aside from these five movements, Bruce attempts to push working out and certain dieting tips that are basic common sense. Many of these tips involve nothing more than no-brainer dieting tips you’ll find anywhere online, such as drink more water every day, eat slowly to aid in digestion and give your brain time to get the message you’re full, or try short workouts you can do at home. The workouts Bruce includes in the program can take ten to thirty minutes to complete, so his claim that all you have to do is follow one two-minute ritual for easy weight loss is very misleading. He recommends using cardio and resistance training two to three times a week, which is something that’s definitely going to take longer than two minutes. He also recommends cutting out all sugar from the diet and having your doctor perform a wide range of tests in order to identify underlying causes of your weight gain, testing for a vitamin D deficiency, and increasing your daily intake of healthy fats such as omega 3s. 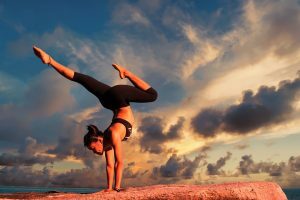 Those steps seem pretty reasonable, but the whole idea of the program is designed around the two-minute ritual not home workouts, so once readers realize they’re expected to work out, they may feel a little cheated. Another thing we noticed is that he doesn’t include much information on weight loss. There’s a ton of information included in his guide regarding heart-related diseases, obesity, and inflammation, but he doesn’t include much information regarding how to actually lose weight and seems to point toward inflammation or disease as the main and most common culprit of weight gain. He uses some scientific explanations when discussing why people may have a high visceral fat content but doesn’t make it easy for readers to follow along, giving us the impression he’s not even sure what he’s talking about. While the information isn’t exactly useless, it definitely doesn’t directly relate to how you can lose weight. It’s not the type of helpful information you’d expect to read about in a weight loss program. Instead, you’d expect to read information along the lines of what type of resistance training exercises you should try, how to lower your daily caloric intake, and what you can do to keep your insulin levels low. The free bonuses we covered here are nothing to write home about. The content is generic at best and information you can easily find online, for free. While these bonuses do add a little value to the program, it’s not enough to encourage someone to buy. For these reasons, we feel that you’re probably better off spending your money elsewhere. This program consists of regular cardio and resistance workouts and includes a lot of vague advice such as avoid sugar. We’re a little stumped why Krahn would promote this program based on this special ritual. All we can come up with is he used it as a marketing ploy to get consumers to buy. Fortunately, if you end up purchasing this program, and are unsatisfied with what it entails, you can take advantage of the sixty-day money back guarantee. 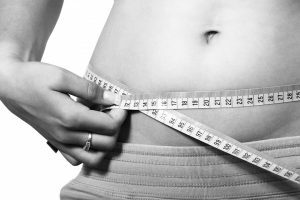 While most of us know you have to work out and eat right in order to lose weight, buyers who were hopeful that Krahn finally found a way around this with his special two-minute ritual that can potentially help you lose two or more pounds a day will be disappointed to learn that the big secret in this program is that there is no secret. At the end of the program, the author explains that in order to get the best results, you must exercise. For some, this may be shocking, while others will simply request a refund. This program is reasonably priced. The author also offers a sixty-day money back guarantee, so you can try the program out for a week or two and request a refund if it doesn’t work for you. What can we really say about the effectiveness of this popular weight loss program? Whether or not it works is debatable. There are plenty of testimonials online from people who have tried the program and lost an average of twenty to fifty pounds. Does the program work for everyone? Probably not. Did these people lose a significant amount of weight in just the first week? It’s possible, but as we discussed earlier, most of the weight lost during the first week is mainly water weight, which will come back once you return to a normal diet, one that’s loaded with carbs. The program has a lot to offer people who are overweight, those with a high visceral fat content, people who prefer working out in the comfort of their own home, and anyone who wants to make important lifestyle changes that can help them lose weight and keep it off. The program can be a good buy for some, and a step in the right direction if your goal is to lead a healthier lifestyle. We hope our Lean Belly Breakthrough review has given you a realistic look at how this program works and what type of results you can really expect. Overall, we felt that the author did a decent job of laying out the program in a manner that’s easy for all users to follow, but if you’re looking for a magic way to lose weight essentially overnight, you won’t find it here. If you’re serious about losing weight, and learning how to make healthier food choices, and are in need of a very structured weight loss program that can help, then this program isn’t for you. We gave this program a rating of three and a half out of five stars. Sheryl is an experienced personal trainer who began studying optimal diet and exercise plans after years of struggling to maintain a healthy weight. Her goal is to help people make healthy lifestyle choices by sharing her knowledge. 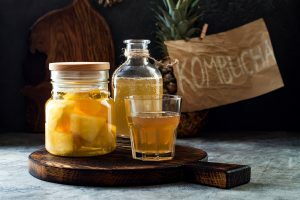 Can Kombucha Help You Lose Weight? Can You Get Lean on a Vegan Diet? Where Does Cardio Burn Fat in Our Bodies? Wisdomweightloss.com has relationships with some of the companies whose products we review. We may receive financial compensation for products purchased through our links.